"Microbes shape how everything in this world survives," said Jack Gilbert, faculty director at the University of Chicago's Microbiome Center and group leader for microbial ecology at the U.S. Department of Energy's Argonne National Laboratory. "If you don't understand them, you won't understand anything." With funding support from the National Science Foundation and hosted by the University of Chicago, 22 leading researchers in the fields of soil science, microbiology, computational biology, sensors and nanotechnology recently gathered at a two-day workshop in August to create a roadmap for measuring microbial activity in the soil. "All our food and water is dependent on soil," explained Tijana Rajh, an Argonne distinguished fellow and deputy director of the Center for Nanoscale Materials at Argonne. "With alterations in the climate, how will that affect food and water? What is coming out of the soil? How is soil changing? These questions have global implications." The workshop was part of a broader initiative that began with a meeting on campus last year to identify overarching challenges in soil and plant science and subterranean sensing. 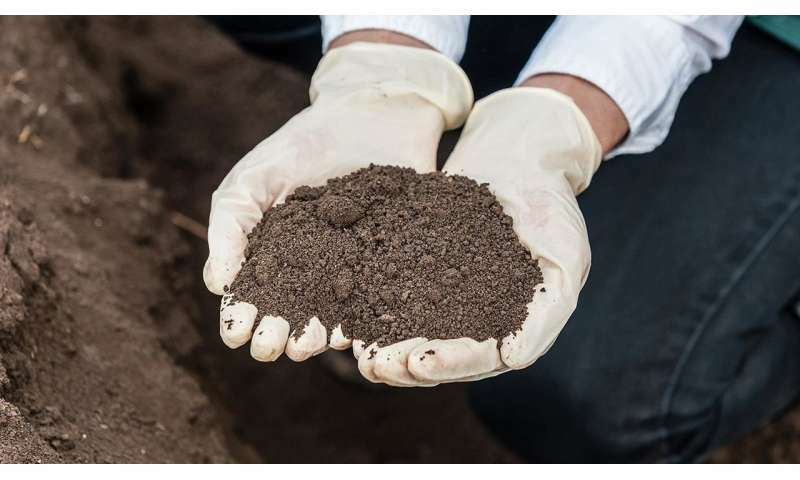 In particular, scientists wanted to know how the revolutionary advances in sensors, sensor networks and related technologies could be used to advance the understanding of soil. Gilbert, professor in the Department of Ecology & Evolution, said the field is still in a nascent stage, and the workshop will help point the way forward. "We will develop a report with broad strokes of understanding about what needs to be measured and the technologies necessary to do so," he said. "Then will come a strategy to deploy sensors and measure soils around the world."